November 11th was originally Armistice Day, marking the end of World War I, when the world powers got together at 11:11 in the morning on the 11th day of the 11th month to sing the peace treaty. From the perspective of an automotive enthusiast and gearhead (petrolhead in the UK), WWI was the first mechanized war and kick started development of the modern world. Here’s a brief look at some of the cars, trucks, planes, and motorcycles that won the day for freedom back in the War to End All Wars. When the war started, famously, the battlefields were shared by men, machines, and horses. Many high ranking officials trusted their horses over the crude motorized vehicles of the time for both pulling wagons and carrying men into battle. But Ford had introduced the Model T five years before the start of the war, and its speed, durability, stamina, and ease of maintenance (compared to a horse) had already won over many civilians. By the end of the war, the whole world saw the horse as hopelessly outclassed. Henry Ford, however, was an isolationist and did not want to be involved in what he saw as a strictly European war, so refused to sign contracts to supply the French and British forces. Local Ford dealers, however, did order more than 50,000 ordinary Fords, and the military converted them locally for their purposes, most famously into ambulances. When the US did enter the war in 1917, Ford changed his tune and supplied the military with 15,000 Model T variants before the end of the war. Ford was not the only company still in the car business who had a part in the fighting. Famously, French soldiers commandeered every Renault taxi cab in Paris to get to the front lines of the first Battle of Marne in 1914. Once the war was in full swing, the French company began producing a light armored tank, known as the FT. More than 3,000 of these small two-man tanks were made before the end of the war, and variants were still being used nearly 20 years later when WWII began. Haynes has not published a manual on the Renault FT (yet), but the UK division has put out one on the larger British Mark IV Tank of the same era. 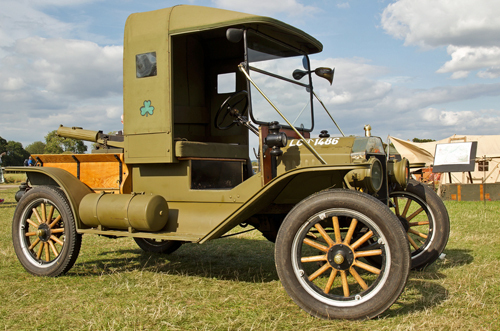 Besides the light Ford Model T based trucks, the US military also used Liberty trucks with 3 to 5-ton payloads, specially designed and built for the war. 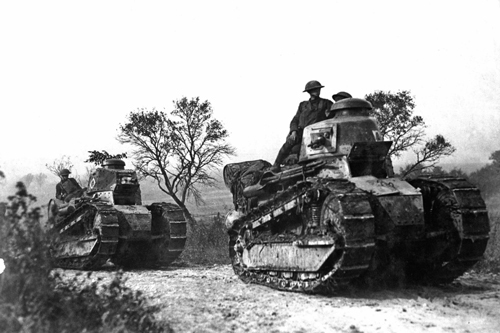 Because WWI had already started in Europe several years before, the isolated Americans were free to develop this vehicle for years in anticipation of going to war. 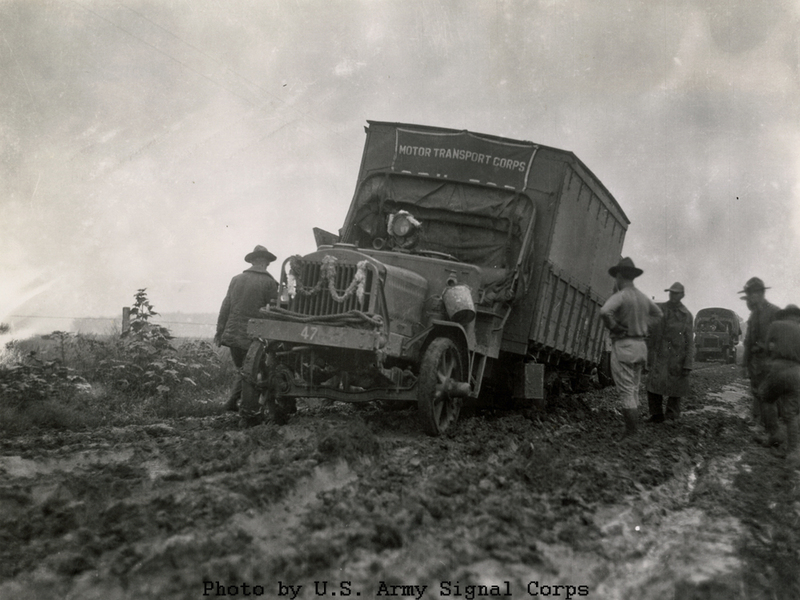 When they were sent over, the Liberty truck allowed the American forces to move men and equipment with a swiftness the enemy could not match, even though it only had a top speed of 15 mph. Nearly 10,000 Liberty Trucks were made, and a big part of their appeal was standardization and parts interchangeability, while the rest of the world was still largely being handmade. Rolls-Royce, already considered “the best car in the world”, also supported their home land in the great war. The large, fast, Silver Ghost touring car was modified by added armor and a turret mounted machine gun to become one of the first military armored fighting vehicles. 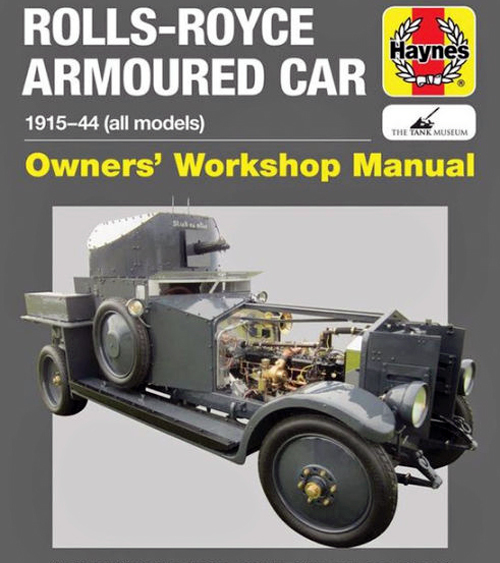 Our British division of Haynes even put together a manual of this luxury fighting machine, which you can get here. In the sky, Rolls-Royce Aircraft engines powered half the planes used by the allies by the end of the war, because of their power and durability. Much like today, even back in the teens, motorcycles were able to traverse terrain that four-wheeled vehicles would find impossible. Both Indian and Harley-Davidson provided tens of thousands of bikes for the American war effort. 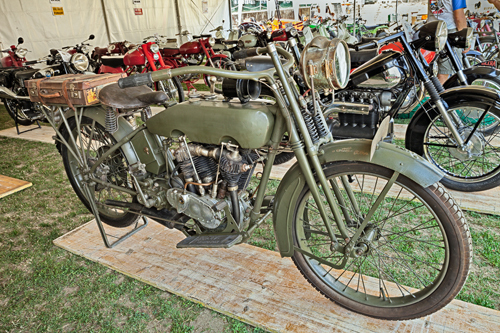 These bikes were based on civilian models and used both solo or with sidecars, sometimes fitted with a machine gun or stretcher for carrying wounded. The Indian PowerPlus based bikes (nearly 50,000 of them) included a unique rear suspension system unknown on their production bike. Harley delivered what was basically their civilian model, already know to be rugged, made even tougher for army use. One of the most indelible images from WWI is the flying ace in his machine gun equipped biplane, like the Red Baron, or Eddie Rickenbacker. 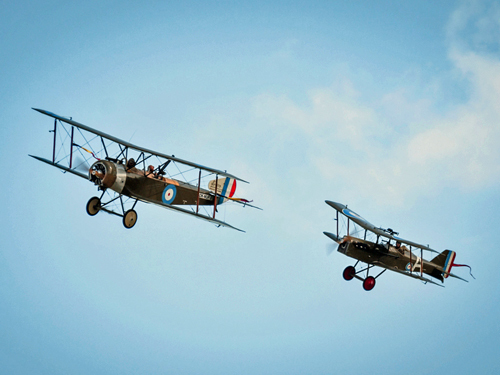 Planes went from a novelty in 1914, to being a viable means of transportation and warfare by the end of the war. At the start aircraft had so little power often times there was no throttle, just an on-off switch for the ignition. Dogfighting accelerated the understanding of aircraft control and design by leaps and bounds. The first crossing of the English channel by plane had only been successful in 1909, but German heavy bombers had advanced enough to rain explosives on London, taking off from Belgium by 1917. By 1918, the multi engined heavy bombers were making power unheard of just a few years previous, and the stage was set for civilian air travel at the end of the war. Haynes UK has a whole line of manuals covering the famous WWI fighters, like the Sopwith Camel, all of them available via Amazon.